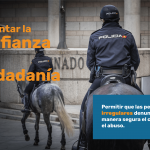 Campaign No Hate, in which Pro Igual participates, supports the creation of the Council of Victims Against Hate Crimes and Discrimination (the Spanish abbreviation COVIDAD). 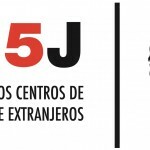 The Council´s objectives are: promoting democratic values, sensibilization and civic participation; encouraging solidarity with victims and their legal, social, political and institutional protection; defending the memory of victims of hate crimes; calling for official action to erradicate prejudices, and working towards reaching the implementation of international standards in this field. The original link is available (in Spanish) here. European Politics: The Rise of the Far Right – Engage or Isolate? How should the EU react to the rise of the far right? Pro Igual´s position is unequivocal: isolate the extreme right.